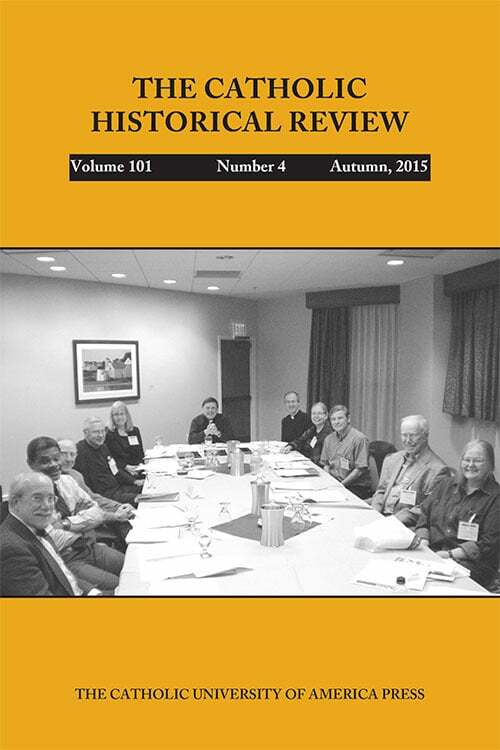 We invite you to preview highlights from the Autumn 2015 issue of the Catholic Historical Review. On this page you can browse summaries of articles appearing in the Catholic Historical Review. Church historians have thought that the ancient and medieval Church disallowed torture in court proceedings. This view draws on Gratian’s Decretum (c. 1140), but Gratian cites canons that permit judicial torture. Deutero-Gratian (c. 1150) added canons from Roman civil law; Huguccio (c. 1190) and the Ordinary Gloss to the Decretum (1215 and later) also adopted Roman criteria but stipulated that the clergy could not apply coercion involving serious injury or bloodshed. Heresy inquisitors added a twist to this practice well before Galileo’s trial in 1633: a defendant admitting a heterodox deed but denying evil intent must be examined under torture. During the interwar period (1919–39), nations used sport and athletes for propaganda purposes, especially those countries with fascist and National Socialist ideologies. Through insights gleaned from the archives of the Vatican Secretariat of State and the Archivio Segreto Vaticano, the author discusses how the Holy See, at every level, regarded this phenomenon. Since the 1970s, both foreign and U.S. opponents of U.S.-Central America policy have cited the 1969 Rockefeller Report on the Americas: The Official Report of a United States Presidential Mission for the Western Hemisphere as the beginning of U.S. government efforts to eradicate liberation theology. During the 1980s, progressive Catholic press accounts in the United States and abroad emphasized the similarities between the Report and President Ronald Reagan’s approach to Central America. But critics’ charges are misplaced. The Report supported the Church’s leftward turn, and Nelson Rockefeller was the reason. Early report drafts and Rockefeller’s comments reveal that he enthusiastically welcomed the Medellín documents. It was family planning that preoccupied Rockefeller, not communist subversion. 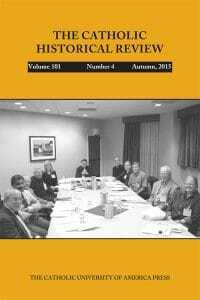 The author addresses the history of the American Catholic Historical Association from its fiftieth anniversary in 1969 to the present, including the history of its official journal, The Catholic Historical Review. The writings of the earliest followers of Jesus contain vivid, if terse, descriptions of an as-yet unseen world to come; their successors in the still-small Christian movement of the early-second century, spreading westward through the Roman world, treasured earlier, Jewish descriptions of the afterlife and continued to elaborate new ideas that were often received through dreams and visions. They frequently held strict views about divine rewards (for the righteous, especially martyrs) and punishments (for the great many wicked). The devil is the original great deceiver, and here he gets top billing in the title of a book that is only tangential to him. Nor is the book a history of the lies that have been told from the beginning (which would be impossible: only God knows), but rather a history of the ideas about lying. This is a splendid book. Dallas G. Denery II has a wide grasp of recent works as well as deep and critical knowledge of scores of theories about lying from the Old Testament through the Enlightenment. It is also original as the first successful attempt at a full history of the subject.